Urban planning is a profession that specializes in ensuring the health and quality of life for urban areas while considering political, social, architectural, and engineering aspects of transportation, infrastructure, environment, communications, distribution networks, and beyond. Urban planning was influenced by the newly formed disciplines of civil engineering and architectural developments in the nineteenth century. It became a way to solve a city’s problems that were both rational and stylistic through aesthetic, practical and innovative design. Since the 1960’s, the field of urban planning has grown extensively, now including economic development planning, environmental planning and social planning. As an Urban Planning Consultant, Daniel Hewes has developed a strong understanding of the ins and outs of an urban planner’s daily roles and responsibilities and has spent time learning how to maximize and improve the work they do. Urban planners have to meet with developers, public officials and the general public to start a project that is related to development plans and how the land is used. They are expected to analyze economics as well as environmental studies, research data and conduct the field investigations to analyze anything that might affect how the land is used. They need to be able to review the site plans that are turned in by developers and assess the possibility’s when it comes to needed changes. An urban planner must be able to state whether proposals should be denied or approved. As an urban planner you are required to present projects to officials and also at planning commissions. Urban planners must have the ability to identify exactly what the community needs before it is brought to their attention. A plan is then needed to propose the facilities likes schools and new buildings. 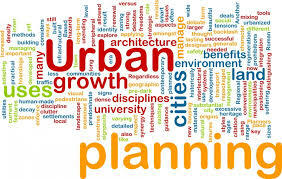 It is a must that an urban planner makes sure that the plan will meet the future changes such as changing populations. When areas grow urban planners then have to help the area manage on all levels such as socially, economically and environmentally. There are urban planners who work community wide with all sorts of plans and some that simply focus on more specialized issues. Urban planners need to do what is best for the community, land, and the resources that they have for commercial, residential and recreational purposes. Urban Planners work with community members and other groups to discuss and change the issues or the goals of any given project. Data analysis and research gets brought into it where the strategies are made to address goals and other arising issues. They help with organizing work of the groups that may be involved, community plans and overseeing projects. Urban planners use geographic information systems that manipulate and analyze data to integrate data for maps. Urban planners use the geographic information systems to overlap land maps with indicators for population density. Statistical software is also used as well as presentation programs, financial spreadsheets and all different types of software programs. Planners travel to the sites to for inspection and spend majority of their time in the field.